The Fund for NGO in Spain (Active Citizenship Programme) is a result from the collaboration between the Financial Mechanism of the European Economic Area, the Spanish Government and the NGOs Platform of Social Action. The total amount for this Programme is € 4.5 million to support the sector by strengthening its capacity in policy engagement, promoting active citizenship and addressing social justice and sustainable development. The main challenges are the contribution to participatory democracy, promotion of human rights and social inclusion. 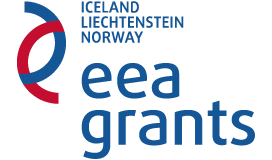 The Financial Mechanism of the European Economic Area (EEA Grants) overall objective is to contribute to the reduction of economic and social disparities in the European Economic Area through financial contributions for programmes and projects in different priority areas, such as civil society. The NGOs Platform of Social Action is the Programme Operator to manage this fund in Spain.